A session on e-learning based Entrepreneurship Development programme was conducted for the PGDM first year batch, on Thursday, 11th August, 2016. 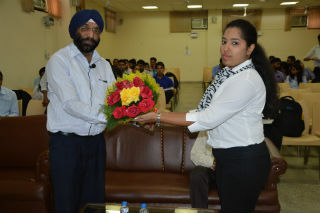 Resource Person for the session was Prof. H.P. Singh, Chief Consultant, National Institute for Entrepreneurship & Small Business Development (NIESBUD), Ministry of Skill Development and Entrepreneurship, Government of India. 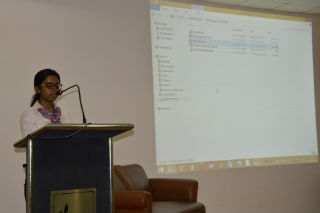 Prof. Singh during his session explained the various schemes and incentives being offered by the government and other agencies, to promote entrepreneurship among youths. 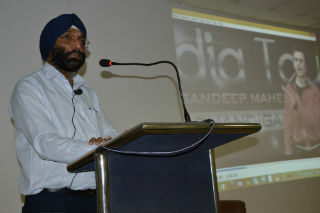 He discussed the journey and experiences of some of the recent entrepreneurs in India and abroad. Students were engaged and motivated through interactive videos and presentations. 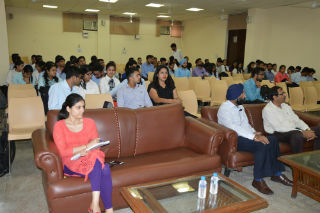 Overall the session was interesting and many students at the end showed keen interest in learning more about entrepreneurship and the certifications offered by NIESBUD.